Where did the week go? Catch up with these good reads. Despite threats of snow and cold, we had a great turnout of Reading residents on Monday. People are hoping for many different things in their city. 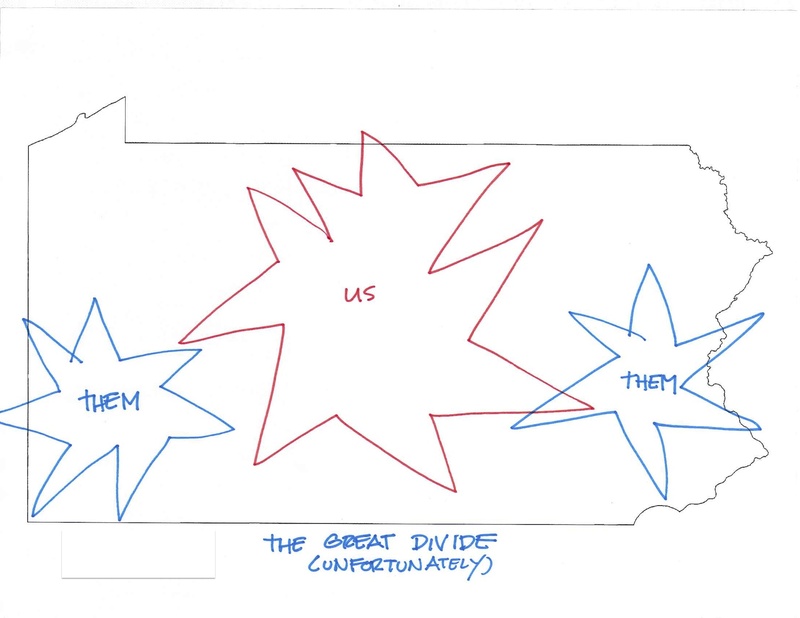 And in one poignant map one of the attendees drew, there is the story of the state divide. We’re planning another public forum for people in the Lehigh Valley in March. Stay tuned! According to the US Bureau of Labor Statistics, the urban growth action is mostly down South and out West. Dallas had the largest growth in employment from December 2013 to December 2014, at 4.4%. In the Keystone state, Pittsburgh was up 1.1% and the Philadelphia metropolitan region nearly flat, at 0.8 %. Gov. 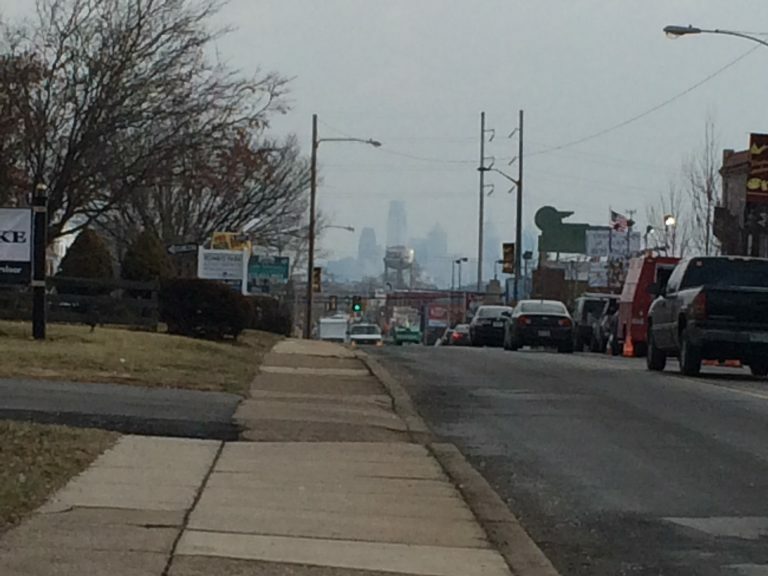 Tom Wolf has promised to bring in revenue by taxing gas extraction. That could mean a boost for school funding. Right now, though, there are competing proposals for just what that tax rate should be. Remember the story from last month about the National Rifle Association suing cities in Pennsylvania over their local gun laws? This week, the fallout: Some cities, including Allentown and Bethlehem, are rescinding local gun laws, hoping to avoid the lawsuits. City leaders are looking to attract artists by offering affordable housing. (Next City). Keystone Crossroads reported a while back about Oil City, Pa. becoming a center for artists. Pittsburgh leaders are pretty proud of their new public budget tracking site. Tweet about your bike commute! Some researchers think tracking social media can help with city planning.